Corfutransfers.INFO provide airport transfers from Corfu airport, port or any other pick up point of your desire to the whole island by online reservation, priority collection and flat rate, so you do not have to worry at all. Book a Taxi online, directly through our website and pay by cash upon arrival or by credit card / PayPal. 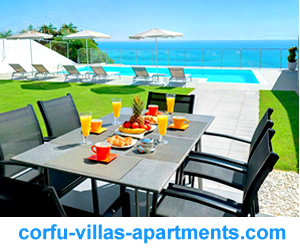 Self catering apartments, villas, vip villas, hotels, and studios for holidays in Corfu, Greece ! 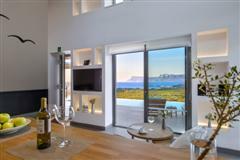 Find your ideal holiday rental in Corfu. Accommodation in Corfu direct from the owners ! Greece Corfu was not given the name of the Emerald Island for no reason. 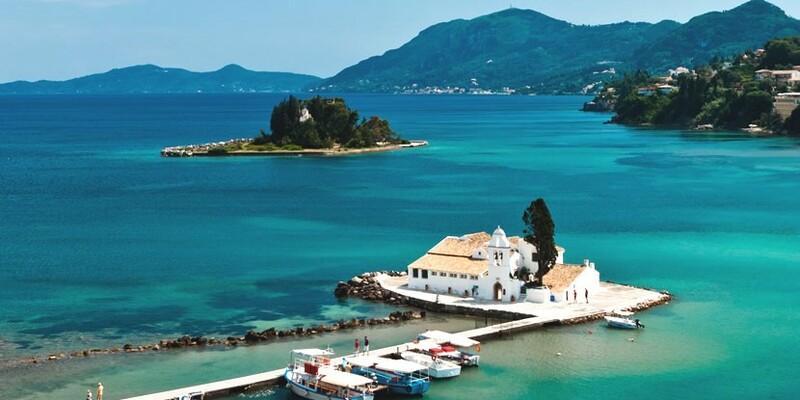 The greenest of all the Greek islands Corfu's natural beauty is hidden under a mantle of emerald green. Home to a mountainous skyline plunging into the crystalline blue waters of the Ionian and Adriatic Sea, wonders will never cease here.With its charming landscape of vibrant wildflowers and slender cypresses rising out of shimmering olive groves, it has enchanted visitors throughout the centuries. Did I just mention the olive groves? Well... the olive trees constitute a quite interesting detail of Corfu’s history to start with this audio guide in Corfu’s history; Corfu is home to 3 million olive trees which were planted on the island during the rule of the Venetians which was between the14th and 18th century. Olive trees can be found just about everywhere on the island. The locals were paid a gold coin of considerable value for every olive tree they planted. Yet, the most interesting fact is that the oil was not intended as food, but as fuel to light the lamps of Venice! The Island of Corfu measures 590 km² and it stretches 62 km from north to south respectively. The coastline is 217 km in length. Corfu Island is the sixth biggest of the Greek islands and second biggest of the Ionian island group. The principal town of the island is also named Corfu, or Kérkyra in Greek. The general population of the island is approximately 120,000 people; of which 40,000 live in Corfu Town and the rest mainly inhabit the island's numerous villages scattered around the island. Corfu is home to the Ionian University. 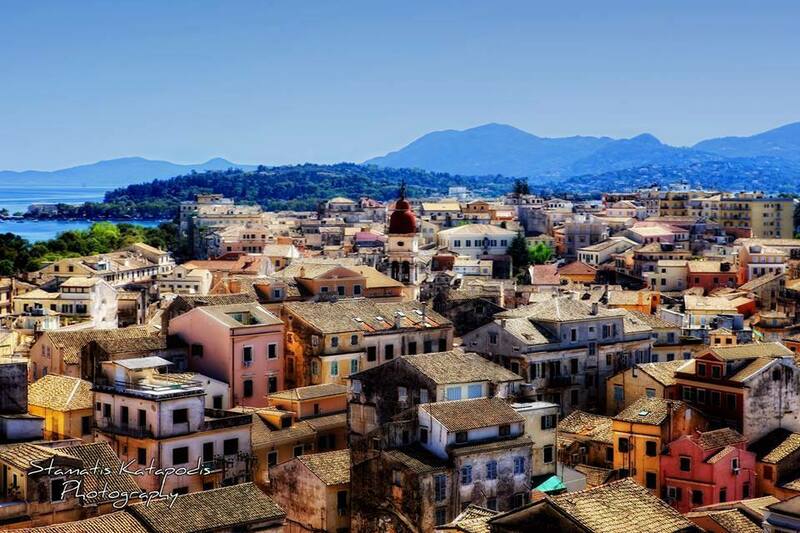 Corfu has a bountiful culture and is steeped in history. It is directly connected to the history of Greece starting from Greek mythology. Corfu’s Greek name Kerkyra, is connected to two powerful water symbols: Poseidon, god of the sea and Asopos which is an important Greek mainland river. According to legend and myth, Poseidon fell in love with the beautiful nymph Korkyra who was the daughter of Asopus. He abducted her as this was the custom among gods of that era's myths. 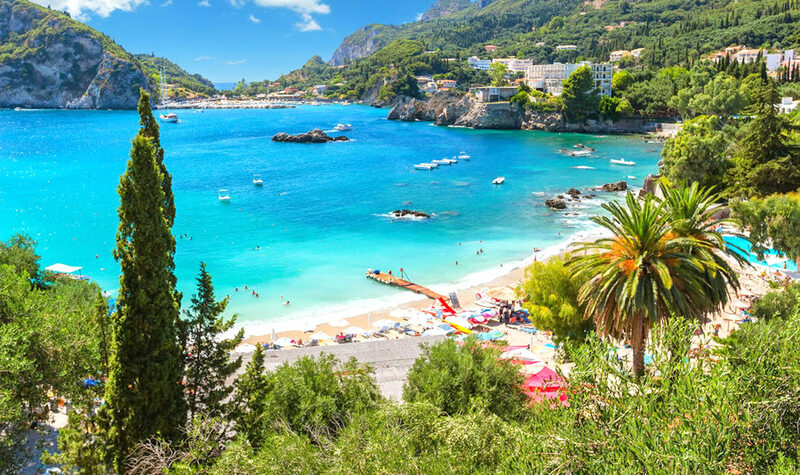 Poseidon brought her to an unnamed island and being in marital bliss, offered her name to the place: Korkyra, which gradually evolved to Kerkyra. Together they had a child they called Phaiax, after whom the inhabitants of the island were named: Phaiakes, which was then transliterated via Latin to Phaeacians. Whether you are looking for the hustle and bustle of night life or peace and tranquillity, everything you could need is here just waiting to be discovered. We are giving you some tips on what not to miss while on the island along with some vital info you will need to know as a visitor.